This article has been written for the travelers planning a 2-3 days stopover in the (Mer)Lion City or the expat’s family & friends visiting Singapore. 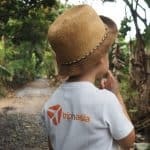 Although we originally designed Tripinasia with the Singapore-based travelers in mind, we realized that a lot of our visitors actually live far from Singapore and are looking for things to do and see in Singapore as many transfer through Singapore and would like to stop over for a few days. There you go. Singapore Changi Airport has been awarded many awards. It deserves all of them. Changi is probably one of the best airports in the world. It offers a wide range of amenities and enables you to get your flight in a very efficient way, hence limiting the time you need to spend in the airport. Free internet, shopping, garden, swimming pool, you name it. Don’t forget to get out of the airport to visit the city! Unless you are really short on cash, taxi is the best way to get to the city from the airport (around 20km), but it’s not the only one. The taxi ride will cost you around SGD 25 to get to the city center. Surcharges apply at night, during peak hours and on Sundays. You will have to pay an extra airport surcharge: SGD 5 (Fri – Sun: 5PM to midnight) or SGD 3 (all other times). Note that these fares are for regular city cabs, Black Chrysler Limo taxis will charge you 25% extra. Also, there are peak-hour additional charges from 6AM to 9:30 AM & 6PM to midnight : + 25% of metered fare and past midnight to 6AM : + 50% of metered fare. To get to the city center, you will need to take the East-West Line – Green line and transfer at Tanah Merah MRT station. On your way back to the airport, note that the first train service arrives at Changi Airport station at 5.26 AM on Mondays to Saturdays and at 5.54 AM on Sundays and public holidays. In case you want to save some money and have some time, there is a public bus that operates from Changi. It’s bus 36. The fare is SGD 2, but the journey will take you one hour. There are some free shuttles services running to Bedok MRT, Sengkang MRT, and Changi Business park. You can get the timetable here. Accommodation in Singapore can be very costly. Most of the hotels charge around SGD 180-250 / night, regardless of the location (city center or in the outskirts). However, you can find some backpacker guesthouses in Little India area for around SGD 25/ night / pax in dormitory. The best areas to stay are: Orchard, Bugis, Little India, Riverside, Chinatown as you will be nearby the main attractions. Have look at Agoda’s best offers using the box below and select the area you want to stay in and the price range you want to spend. By order of priority this is what we recommend to visit, depending on how long you will be staying in Singapore. 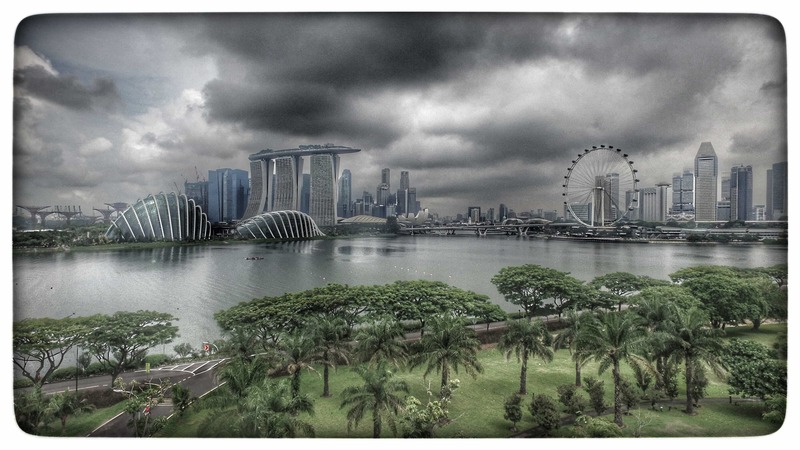 When you visit Singapore you cannot miss the 2 emblems of Singapore: the Merlion and the Marina Bay Sands building! The Merlion is the emblem of the city, 50% lion, 50% mermaid (some will say 100% ugly). Have a drink at one a of the many bars & restaurant overlooking the impressive Marina Bay Sands boat shape building. You can either have a drink on top of the Marina Bay Sands (at the Ku De Ta for instance) or in front of it (that’s what we recommend – try the Lantern on top of the Fullerton Bay Hotel or the Kinki). There are 2 sounds and lights shows at 8PM and 9:30 PM, daily. There are extra shows at 11PM on Fridays and Saturdays. Don’t worry if you miss the shows, they are not very good. Walk on the Marina bay waterfront or enjoy the freshness of the air con luxury mall under the Marina Bay Sand Hotel. Shopping addicts will find heaven in the mall with most of the luxury brands there. Stroll around Temple street, Pagoda street and Mosque street. This will give you an insight of Singapore’s diverse cultures. Walk in the Hindu temple called Sri Mariamman Temple, from the outside you’ll see colorful towers and getting inside you might be lucky to witness a ceremony. Behind the Buddha tooth temple you can see Old Chinese men playing mahjong, enter the Chinatown complex where there is a wet market in the morning on the ground floor (local market selling veggies, meat, frogs,…) and walk around in the pedestrian streets. Take a walk in Club Street (opposite the Buddha Tooth temple) to see nice shop houses which used to gather community clubs – at night it becomes lively, many western restaurants. It’s a good area to have a drink if you fancy some western drinks and food. You’ll experience 2 opposite atmospheres between Orchard and Botanic Garden. Botanic Garden: This is a flagship park in Singapore, centrally located but away from the city hustle. We recommend to go either early morning or late afternoon when it is not too hot. You’ll then enjoy a heaven of quietness, take a look at local doing their martial arts as the sun rises, visit the Orchid garden, wonder around tropical flora,… Botanic Garden: Open Daily 5AM – 12AM, Free admission. You can also visit the Orchid Garden in the Botanic garden: open daily 8:30 AM – 7PM, SGD 5/pax. Orchard Road: This is Singapore’s cosmopolitan lifestyle, malls, malls, and malls… featuring international luxury brands and also some affordable ones. This shopper’s paradise is busy from 11AM to 10PM, especially on Saturdays and Sundays… If you want to get away from the shopping frenzy of Orchard, walk in Emerald Hill street (opposite Sommerset 313 Mall), nice shop houses and from late afternoon bars open their terraces to enjoy a refreshing drink. There is a Hindu temple on Serangoon road, you might see Brahmans celebrating a ceremony. There is no skyscrapers in this area but many colorful shop houses to admire, just get lost in the small street off Serangoon. Gold sellers, jasmin flowers stalls,… you’ll feel like in India. Mustafa center supermarket. As crazy as it might seem, this supermarket is open 24/7 & there will always be shoppers even at 3AM. The Sultan Mosque. If you are wearing short leaves/pants, no worry, you can get robes at the entrance counter. Open Sat to Thur 9AM-12AM, 2PM-4PM and Fri 2:30 PM – 4PM. Enjoy a Shisha or tea in the street around the Mosque. Go window shopping in nice and trendy boutiques in Haji Lane. The Asian Civilizations Museum. Good museum to get a feeling of the various cultures and arts in the region. Open Mon 1PM – 7PM, Tues to Sun 9AM – 7PM, SGD 8/pax. Free English tours Monday at 2PM and Tues to Friday at 11AM and 2PM. The Old Parliament House which is now a multi-disciplinary arts centre, Victorian house style. St Andrews Anglican Church at City Hall, interesting to see the architectural contrast of this church compared to the modern skyscrapers you can see in the background. Raffles hotel: Nice and quiet place, in the very center of Singapore. This is Singapore’s most famous heritage building. You might be lucky to sneak in the high end hotel lobby. National Museum, iconic architectural building presenting Singapore living galleries and history and special exhibitions. Worth visiting or at least getting inside to see the architecture. Audio guides. Open daily 10AM to 6PM, SGD 10/adult. Don’t expect paradisiacal beaches but it is a nice place to feel like in holidays (in case you are not…), walk on the sand, enjoy a drink in one of the Siloso beach bars, surf on an artificial wave at the Wave House bar, experience one of the theme park attraction ( luge, zip wires,…). More details on the attractions and things to do on the Sentosa page. Wifi is available in hotels, restaurant and bars. Visitors holding a European or a US/Canadian passport do not need to apply to enter Singapore. For other nationalities, you should check the list of “countries requiring visa” apply for a Visa here or liaise with the Singapore Embassy in your country. * check the exact date on this website as it varies from one year to another. When a Public Holiday falls on a Sunday, the following day will be Public Holiday.